I recently had to take a last minute trip to Gran Canaria to visit my sister, who has lived on the island for the past four years. 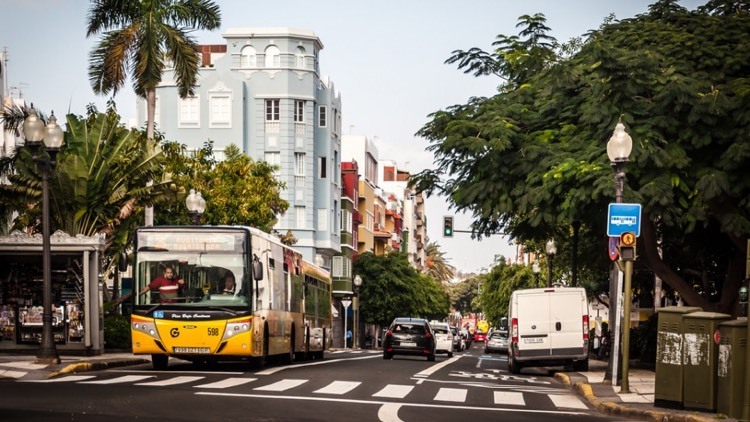 Although I have visited the island on four previous occasions over the years, I have always headed South to Maspalomas and all it has to offer and never visited the capital Las Palmas. My sister lives in a town called Telde which is about 10 kilometres from the capital. Knowing I had not visited Las Palmas before she made it her mission to show off the city. I was firstly impressed with its sophistication. Beautiful architecture, designer shops and a tranquil atmosphere perfectly suited to the extensive cafe culture on offer. I was even more impressed at the choice of restaurants cafes and bars the city has to offer; the standard of the food was very high and the offering very diverse. From Vegan restaurant La Hierba Luisa to Japanese Fuji and Argentinian grill El Churrasco – If you check out Trip Advisor there are 890 restaurants listed. However for me it was all about eating the local Canarian specialities. The cuisine of the Canary Islands combines traditional Spanish recipes with African and Latin American influences. The basis of the typical local cuisine is a variety of vegetables, fruit and fish. Meat usually features as part of a stew or steak and is mostly imported from Argentina (Beef) or Spain. Papas Arrugadas (wrinkled potatoes) are a Canarian speciality. This consists of small new potatoes boiled in their jackets in salty water – the real flavour is from the accompanying mojos (sauces). Using olive oil as a base various herbs and spices are added to create a piquant green, re, or orange –coloured sauce. As you’d expect, the fish is well represented. Caldo de Pescado (fish stew) or Vieja Sancochada(sea bream casserole) are typical regional recipes. The most typical dessert is Bienmesabe, which is a combination of ground almonds, lemon rind, sugar and eggs. Huevos Mole is another popular pudding made from egg yolks, beaten with sugar syrup and cinnamon. The local tipple is called Ron Miel (honey rum) which is considered a local delicacy and can be found in market stalls, shops and behind the bar of most restaurants. And of course there is the local beer Tropical which I found myself sampling (and enjoying) rather frequently!!! So if you make a trip to the Island be sure to check out Las Palmas; it will not disappoint.